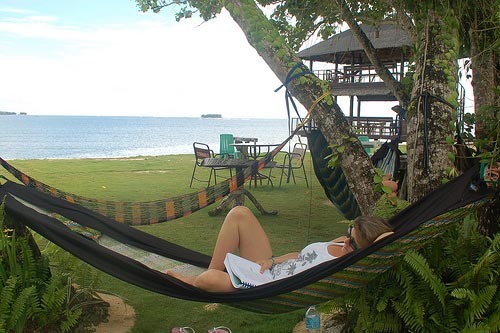 KoKun Hammocks are robust jungle hammocks hand-crafted in Cebu with skill and ingenuity. 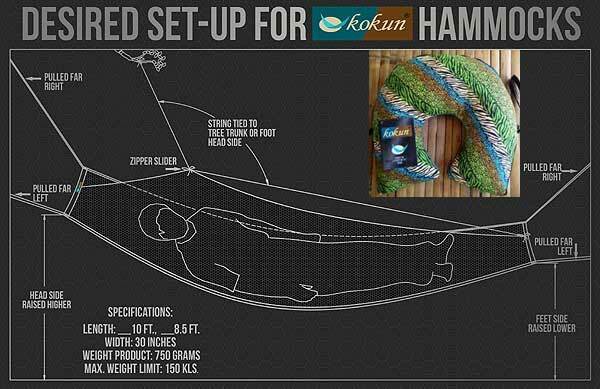 Its lightweight design and integrated mosquito net feature makes KoKun Hammocks your must-have travel gear for all outdoor adventures. ps - If you want me to objectively review a product for this website (scuba gear, rock climbing gear, yoga mat, etc. ), email me. (Aug 13, 2013) After using a (regular) hammock only a couple of times, I wasn't that impressed, but after trying Kokun I realised there is a big difference in hammocks. This one was easy to setup, cool and comfortable with a much needed anti "bug" screen. Also, after rolling up and putting in the back it can be used as a neck rest and a cushion on hard seats. I am happy I now have something useful when travelling. (Aug 7, 2013) It's not my first time in a hammock. But today was my first time to own and set up a hammock all by myself. Surprisingly, it took me hardly a minute to set up and I'm in it! Its material and seams are fine yet tough. I could feel the breeze flowing through while laying in it making me feel cool. 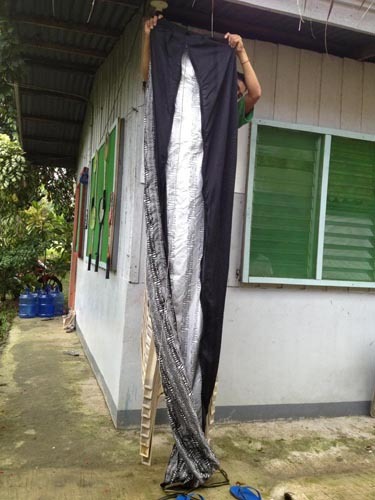 The built-in mosquito net is well ventilated and great as sun shade as well. It's so comfortable that the time passes without my knowing. 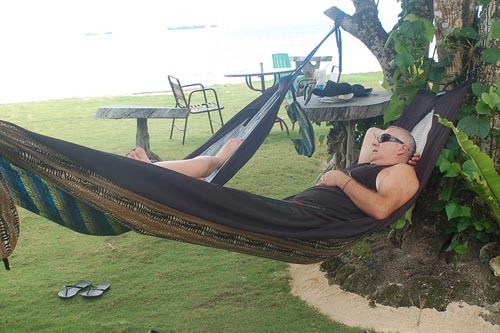 (Aug 6, 2013) I have been using KOKUN hammocks for 5 years now & take it every where, so easy to set up & relax.